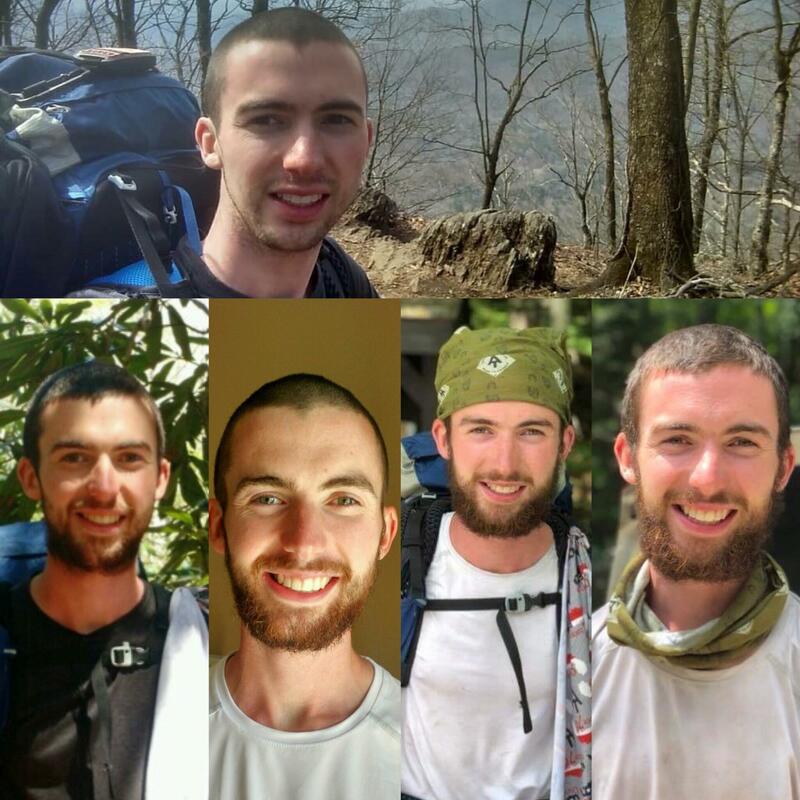 Please welcome Philip Sheehy (trail name: Homebound) who is guest posting with us today about reintegration to normal life upon finishing his thru-hike of the Appalachian Trail. Touching the sign atop Mt. 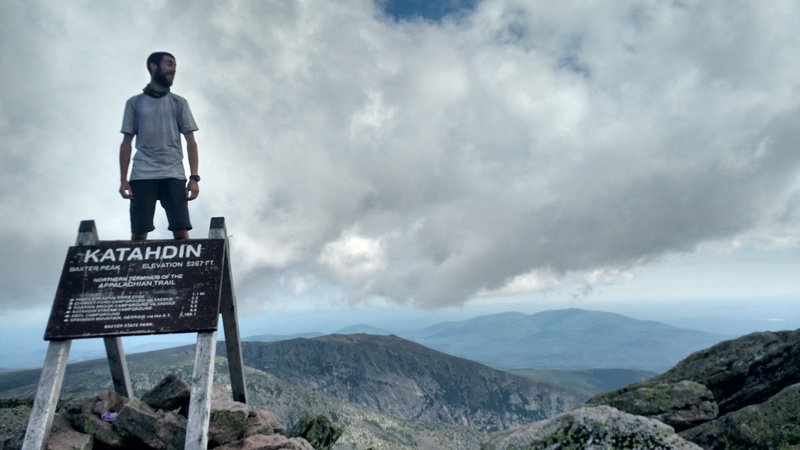 Katahdin brought about a range of emotions that is truly unexplainable. Here, I stood upon the mountain in which ended the trail I had hiked for over 2,000 miles. From the first view of Lady K, it felt unreal to be able to see the end. A challenge and adventure that had taken over four months to even come close to finish could finally be considered complete. It does not easily translate to hard tasks in everyday life. Starting out on the Approach Trail, Georgia. This end goal was tangible. It was finite. It did not move, did not adapt to different variables. It stood there, fully exposed as you, the hiker, pushed through all the challenges nature could throw at you to get there. The mountains did not care. The rain did not stop because you were sick of it. The cold and heat did not pardon your passage through the mountains. 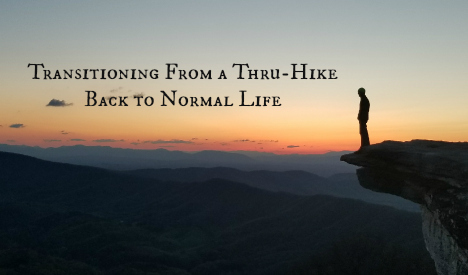 As AWOL says in his book AWOL on the Appalachian Trail, “Our ribbon of beaten path – the AT itself – is a luxury afforded us in the wild” as it guided us through one step at a time. The transition back to life post trail has been arduous. 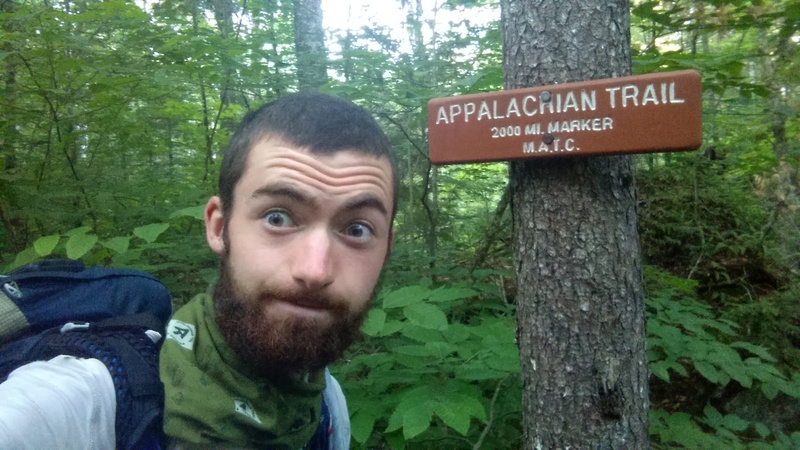 How does a hiker, so fully invested in hiking, suddenly restart and try to pretend to care about such nominal topics presented in everyday life. Pretending to care about pop culture, learning to discuss things other than trail, sleeping indoors, not even considering the weather day to day, peeing in a bowl of water, feeling full and nourished after eating or showering daily. It all just seems so unnecessary and I assure you the list goes on and on. 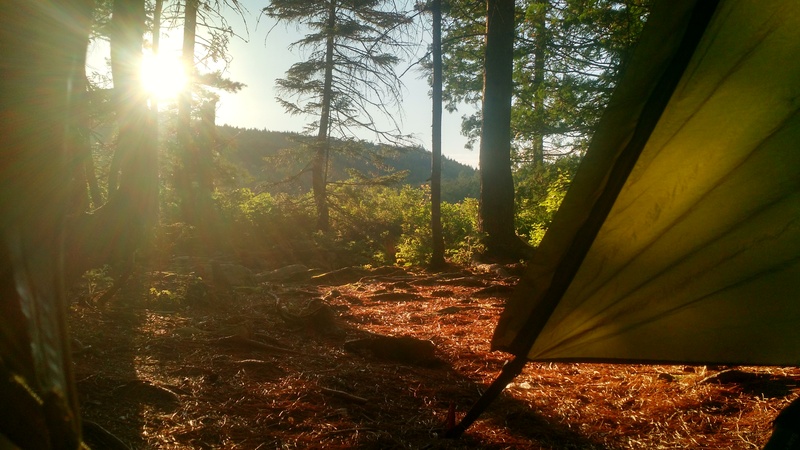 Thru hiking the Appalachian Trail allows you to view the world from such a new perspective. Not the same way a college professor or a scholarly book may try to do so. You physically commit to becoming what some may consider homeless. For most, the idea of hiking up to six months straight is a turnoff in itself. Most don’t consider the change in lifestyle that the hike will demand. You have to become okay with sleeping in rat infested shelters, not knowing what your next meal may be, dealing with your own stench and figuring out solutions to problems often on your own. Returning to a normal life where luxuries exist once again is amazing but also the most difficult part of the thru hike. The hike itself is never complete and if we learn to not think of the hike and life as two exclusive worlds, we will be able to better apply the lessons learned in both to become better human beings. One of the more interesting realities of coming home is the separation you feel once again with nature. The hike forces you outside all day. I find myself now craving a dip in a chilled mountain creek or a swim in a high mountain pond. On my hike I found myself connecting to the landscape more than I could have ever imagined. Those soft cool breezes close to the mountaintop and the warmth generated by a fire in the cool temperatures kept me alive. They felt like freedom from life’s never ending grasp on me. I had the privilege of sleeping, eating, bathing and hiking entirely in the woods along that small beaten path AWOL talks of. This path becomes your home within the wilderness where you begin to feel comfortable. Fallen trees become seats, rocks become stairs and streams become baths. A hiker returns to a more natural state being one with their surroundings. It feels much more natural to be outside in the fresh air than inside on a warm bed. The air is stuffy inside. The bed doesn’t quite conform and the living seems too easy. 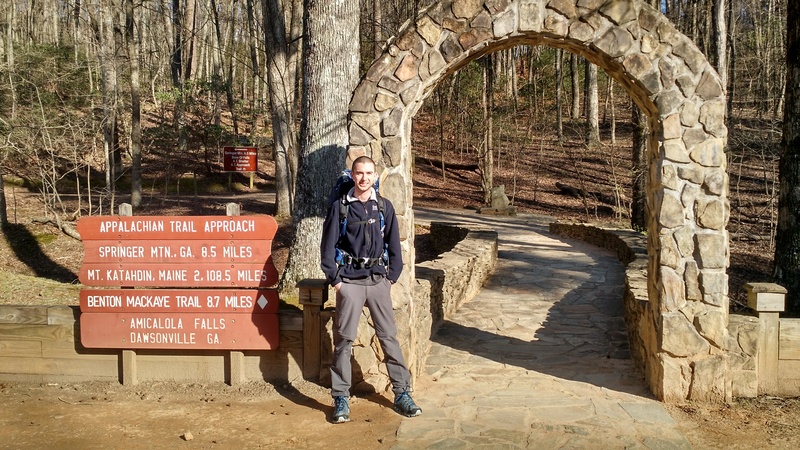 When even the simplest tasks, such as using the bathroom, have required effort for your four month hike, being home and having the ease of a bathroom seems surreal. Of course it would be ideal to more closely connect regular societal life with nature such as you did while hiking. However, after completing the trail it becomes easy to sit on the couch, type on your computer or take shelter from the storm. When you experience these realities out in the woods on a hike like this, it brings you back to a more natural and rugged self that feels a sense of accomplishment with even the smallest of tasks. I have found temporary comfort in finding new trail systems near where I live and getting outside daily for a run or a bike ride. These are only substitutions though and I know one day I will find myself back outside drinking from those clear, bubbling springs and feeling home once again. I find myself changed for the better but have returned to learn that my life I surround myself with still feels familiar. Things have gone back to the way they were and life has moved past my hike just as I hoped it wouldn’t. I do look forward to my future because I know this hike has shaped me into who I want to be. I met a man in Vermont who went by the trail name Tom Bombadil from Lord of the Rings (the father of the forest). 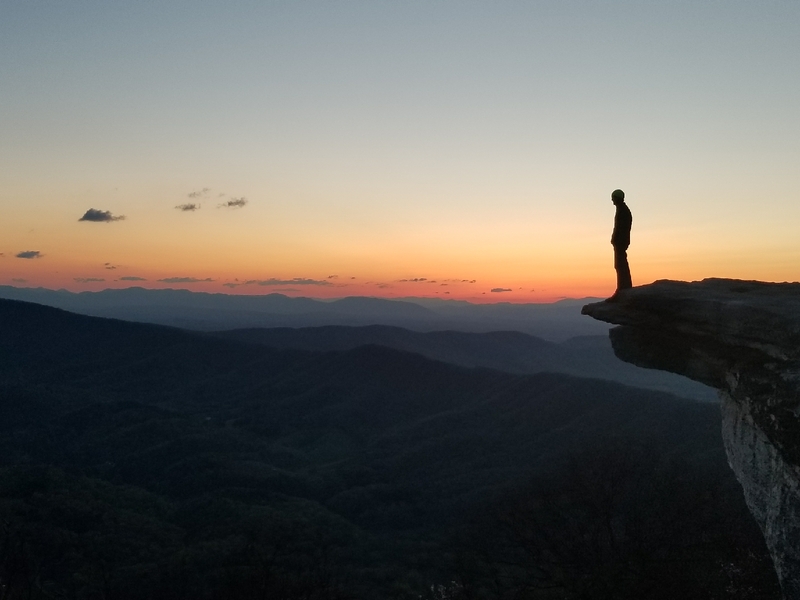 He had told me that he thought it was great I was thru hiking the AT so young because I would then understand and value the work-life balance that he wished he had had. I am excited to start a career and advance my life while carrying the lessons, values and stories of the trail into all aspects of the world I create for myself. With that I preach my favorite quote that reigns true to this day even a few weeks after ending my hike; don’t choose a life, LIVE IT. Homebound – thank you for guest-posting with us! 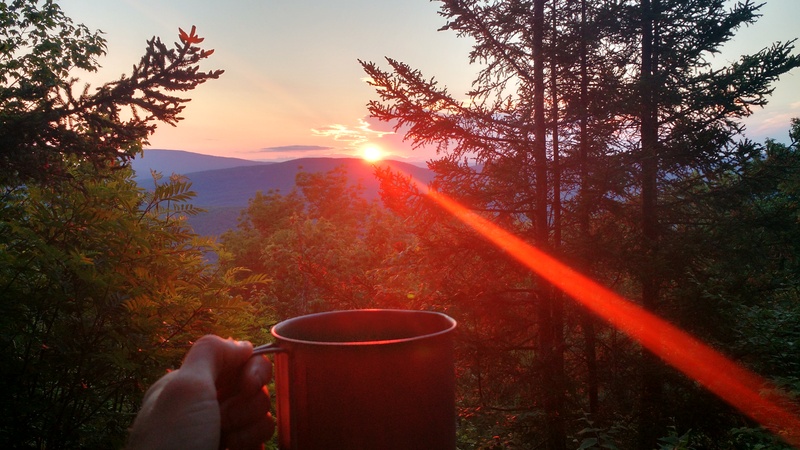 To our readers: If you would like to guest post with us, please contact us at 2hikers@appalachiantrailtales.com.